The aroma of freshly roasted espresso entices you down to the café culture burgeoning at your feet. Grab a quick coffee as you dash off to work, take things slow with a leisurely weekend brunch, or enjoy the ultimate in fine dining. Beautifully designed apartments and buzzing creative commercial spaces will line streets brimming with interesting places to eat, browse, and linger. 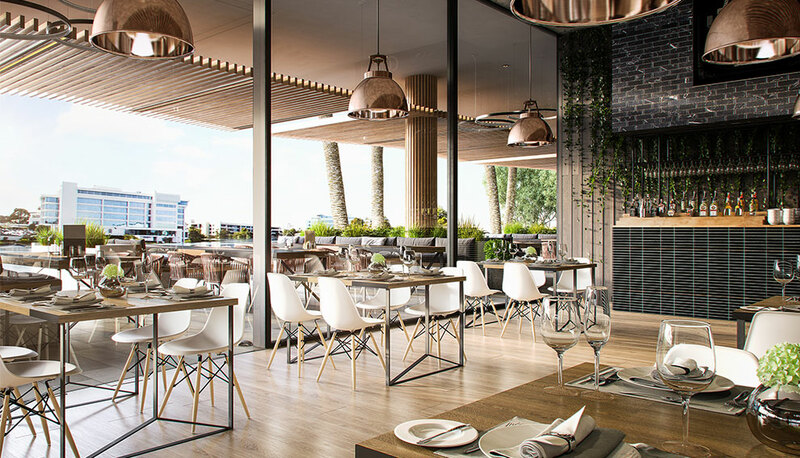 Make the most of Sydney’s newest lakeside playground as exciting al fresco dining options tempt laid-back locals and suited workers alike out to the promenades and boardwalks with picturesque waterfront views as a backdrop. 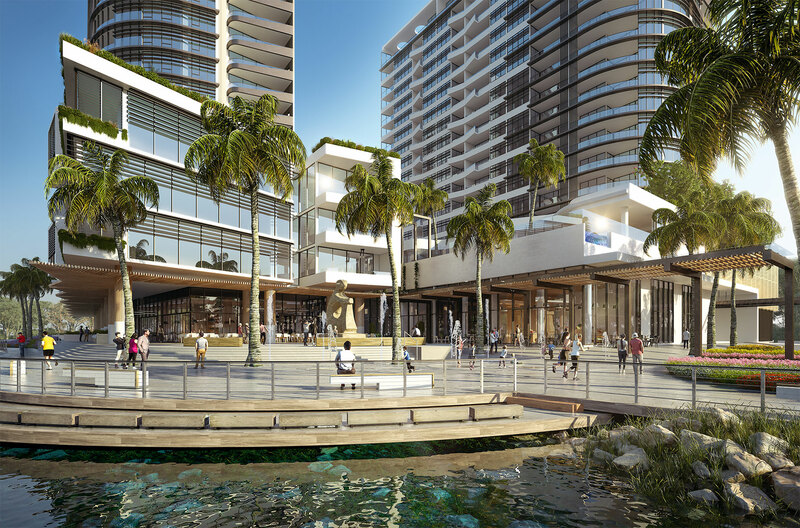 Esplanade is all about the experience of living and creating immersive spaces and places to meet or retreat – in the new lakeside plaza with family; in cafés, wine bars and restaurants with friends; and in the multitude of grand and fine-grained breakout zones dotted throughout the precinct. As day turns to night, Esplanade will have a spirit and vitality all of its own. It calls you down to play as the streets and lake light up and the evening air fills with aromatic tastes and flavours. 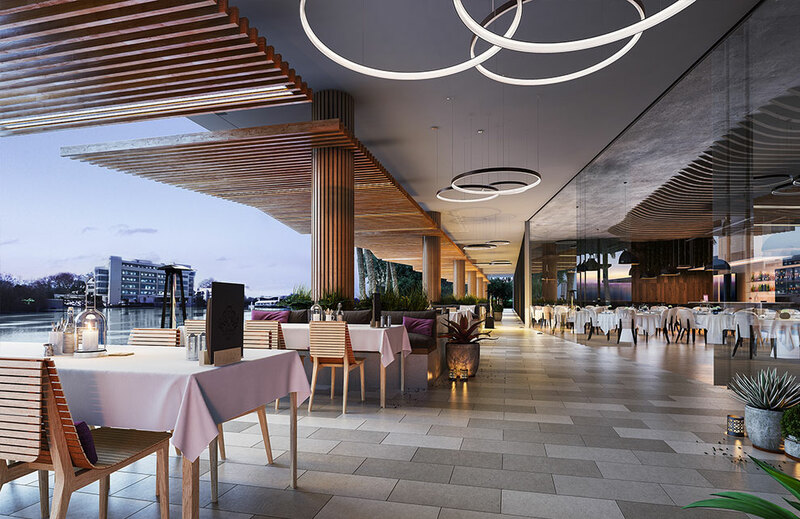 Across the precinct, busy fine-dining and casual kitchens deliver signature dishes as the lakeside provides a wonderful venue to promenade and digest the night-time energy. Dress up and head downstairs for cocktails by the water. Dine out in style for a special occasion, or whenever the mood strikes. Esplanade is a home and playground overflowing with temptations and diversions that will bring Norwest alive. The vendors and their agents do not guarantee, warrant or represent that the information contained in this advertising and marketing document is correct. We exclude all inferred or implied terms, conditions and warranties arising out of this document and any liability for loss or damage arising there from. Price ranges in this advertisement may vary based on availability of stock. Terms and conditions apply.